We are compiling lists of books, websites, and multimedia platforms to provide additional information on the following topics that were relevant to this project. Across the land-sea boundary with an IOOS informed seascape ecology supporting ecosystem management Manderson & Kohut. Ocean surface currents and climate change- video A short video from PBS explaining how surface currents affect climate change across the globe. Ocean circulation, salinity, and climate change Information on NASA’s Aquarius research on ocean salinity. NASA explains how ocean salinity and ocean circulation affect climate change. Ocean Currents NOAA’s educational homepage for ocean currents with links to all topics about ocean currents from the local to global scale and how it is affecting climate change. NASA’s Scientific Visualization Studio website includes short video clips which demonstrate how the ocean moves through surface and deep water currents. Temperature change in the deep ocean An article about research done by Dr. Steve Rintoul of Southern Ocean science. The topic discussed is climate change and how it is increasing deep ocean temperatures in Antarctica. Southern Ocean An issue of the Australian Antarctic Magazine. Covering many topics dealing with the Southern Ocean including the important Antarctic Circumpolar Current, which drives all ocean circulation. Dr. Sharon Gilman at the Coastal Carolina University has a good description of waves. The Open University prepared a textbook titled Waves, Tides, and Shallow-Water Processes, sections of the Waves chapter maybe helpful. 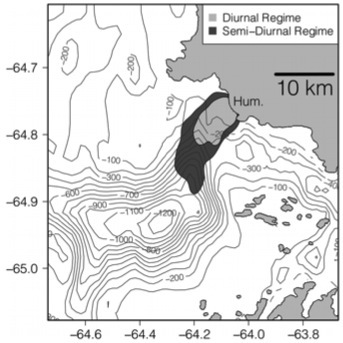 In Adrift, students use real-time CODAR data for sea surface currents to determine the drift rate of a ship in the ocean and predict its eventual location. To better understand the difference between convergence vs convection, look up their definitions on the Ocean Surface Currents Glossary. NSF.gov Adelie penguins research David Ainley, a researcher funded by National Science Foundation and educator Jean Pennycook researched how Adelie penguins are dealing with their change of habitat due to climate change. The Antarctic Australian Division has published articles in their magazine on adelie penguins and how their population is coping with climate change. Penguins in this project are tracked using Argos tags. This article from BBC News provides information on the use of the tags and how they work. Orienting students to Palmer Station: This short flyover video made using Google Earth by Matt Oliver and Megan Cimino orients students to where Palmer Station is located. The Antarctica Resources page lists a variety of resources related to Antarctica that have been used in programming by the Center for Ocean Sciences Education Excellence Networked Ocean World (COSEE NOW). Antarctica Melting: A Story in 4 Acts is a four-part audio slideshow series on the fastest winter warming place on Earth, as seen through the eyes of three scientists. The slideshows provide a first hand look into the role that global climate change has had in transforming the Antarctic ecosystem and are complimented with lesson plans to expand upon the topics covered. A Collaborative Investigation of Climate Change (Antarctica Melting) is a role playing activity in which students take on the persona of different scientist and evaluate evidence of climate change in Antarctica. They then share their findings with the class and combine their findings with those of others to form a complete picture of how climate change is impacting Antarctica. Melting Glaciers (Antarctica Melting) is a hands-on experiment that allows students to emulate the conditions in the past, present, and future of Antarctica. 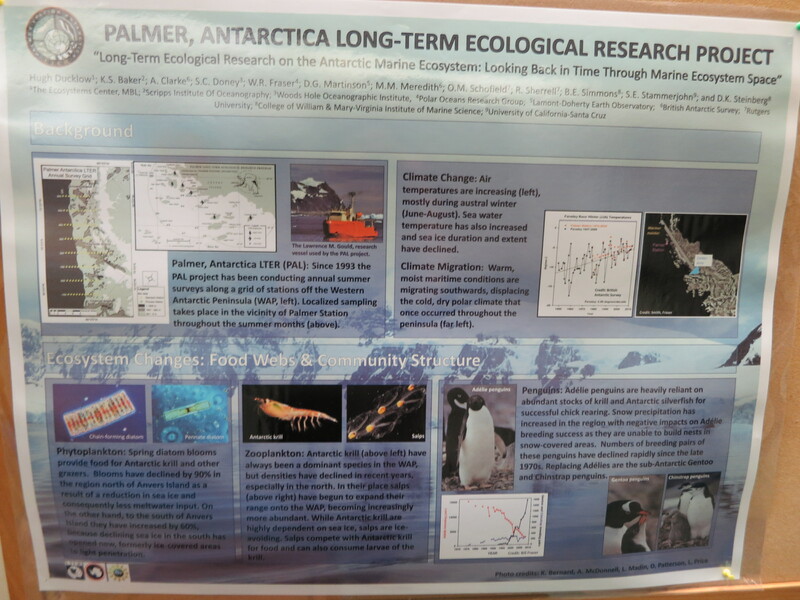 From this work, they can explore what will happen as temperatures continue to increase in the Antarctic Peninsula. In, Ocean Acidification: Whats and Hows (Project PARKA), students are exposed to a range of data on ocean acidification. Through a class demonstration, lead by you, the students will collect data to investigate how ocean acidification works (increases in CO2 in the air correlate with decreases in pH). Students will then work through multiple published data visuals to explore how scientists understand that ocean acidification is occurring. The final component of the section exposes students to the impacts of ocean acidification on calcifying organisms. Students will first observe the impacts of acidification on shell strength through a hands-on demonstration and then again look at multiple data visualizations of published results on ocean acidification impacts. 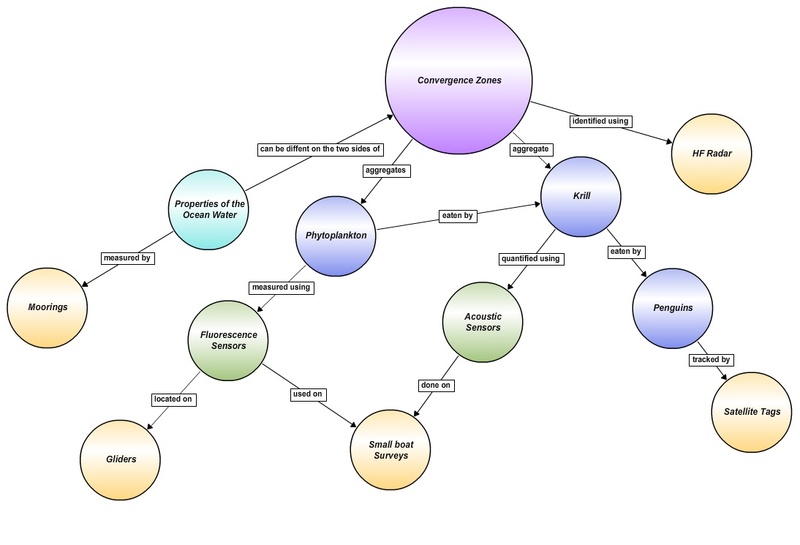 The Antarctic Food Web (Antarctica Melting) activity allows students to apply their understanding of how food webs and energy transfer work by applying it to changes in the Antarctic food web due to ice loss. Bathymetry around Palmer Station: Two maps have been created that show the bathymetry in the area. The first, appearing in Oliver et. al 2013, shows the entire region. The second map from the Ocean Drilling Program, a scientific drilling program, shows the location of Palmer Deep to the Antarctic Peninsula. Palmer Deep is 1ooo m deep and 200 km2 in area. McGonigal, David (2008) Antarctica: Secrets of the southern continent. Buffalo, NY: Firefly Books, Inc.
Trewby, Mary, ed. (2002) Antarctica: An encyclopedia from Abbott Ice Shelf to zooplankton. Buffalo, NY: Firefly Books, Inc.
Trailer: Antarctica – Beyond the Ice – An exciting inter-disciplinary documentary, funded in part by the National Science Foundation, following a world class team of scientists and researches as they race across the world’s fastest winter-warming place to study a changing ocean. DVD: Antarctica – An adventure of a different nature (IMAX – 1991) –Antarctica is replete with breathtaking aerial and underwater footage of the earth’s highest, coldest, and driest continent. DVD: March of the Penguins (2005) – Chronicles the life cycle of Emperor penguins, filmed over the course of a year. DVD: Encounters at the end of the world (2007) – Famous director Werner Herzog’s take on the southern continent including unusual people, underwater life, and penguins. OceanCareers.com is a website that provides information on ocean-related careers, colleges and universities that specialize in ocean-related education, ocean focused professional societies, and internships & jobs in the field. Information on the demographics of those in oceanography and other science fields can be found in this powerpoint. Follow the Glider: This website answers questions about what a glider is, how does it work, why do we use it, and how do you interpret the data. The videos do not always work but the interactives and information is great. It is available in Spanish as well as English. Gliders: The RU COOL website includes an extensive list of FAQs about gliders. NASA Earth Observatory (http://earthobservatory.nasa.gov/Features/Phytoplankton/) – A nice article on phytoplankton with some excellent pictures and diagrams covering much of what we will be discussing. NASA – Ocean color from satellites? (http://oceancolor.gsfc.nasa.gov/) Go to this page to see past and current datasets of NASA’s satellites designed to measure ocean color. Oceanic Research (http://www.oceanicresearch.org/education/films/plankton_qt.htm) – this 12 minute video provides a good introduction to “What is plankton?” Requires quicktime. Ocean Link – explore careers in marine science (http://oceanlink.island.net/career/career2.html) – Interviews and profiles of marine scientists, and links to many other institution career pages. NASA’s Ocean Motion site (www.oceanmotion.org) – A great resource for detailed information about ocean currents. Bridge (http://web.vims.edu/bridge/?svr=www) – Free teacher approved marine education resources. Supported by the National Oceanic and Atmospheric Association and the National Marine Educators Association, maintained by the Virginia Institute of Marine Science. COOL Classroom (www.coolclassroom.org/home.html) – The Cool Classroom is a series of internet-based instructional modules that link middle and high school classrooms with active research investigations at the Rutgers Institute of Marine and Coastal Sciences Coastal Ocean Observation Lab. DVD: An inconvenient truth (2006) – Former Vice-President Al Gore guides the viewer through an understanding of global warming and its possible consequences. Tidal Force on Earth, Rate My Science (https://www.youtube.com/watch?v=oewqNVNanak).